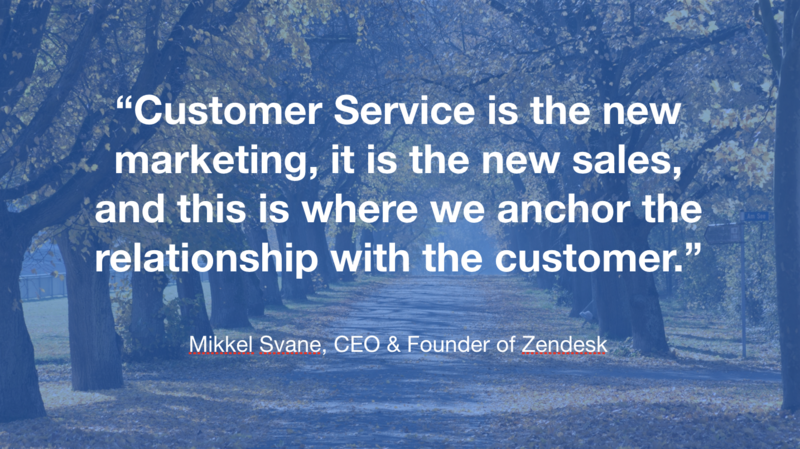 For many organizations, customer service is still a commodity function. But what other department interfaces with the customer on as deep and regular a basis as customer support? Customer support is, by its very nature, the linchpin between the business and its primary source of revenue. And that's an undeniably strategic position. We created an 11-slide customer service strategy template to help you communicate the strategic value of customer support to your internal decision-makers. Here are some of the highlights to help you win the buy-in needed to transform customer support into a growth driver for the business. When thinking about how to pitch your new customer service strategy internally, it's important to ask one key question: What's the customer’s big picture, and where does our product fit into that? This typically breaks down in one of three ways. Traditional - Under the traditional approach, your company continues fielding product questions after product launch to further develop a self-serve help portal, while automating product feedback and up-sells. Use Case - With this customer support approach, you're actively thinking about how your product is being used and how the customer can better utilize your offerings. Strategic - This is where the magic happens. Here, you're really trying to understand how the product fits into the customer's strategic goals. You actively seek out unique insights to enable Solution selling and "deep" Product discussions — activities that can make a BIG impact on the business's bottom line. Seeking out unique insights requires an excellent and open line of communication with your customers. When’s the last time you asked them what their biggest challenges are via survey, or dive deep with your email content? If you want meaty insights, you have to start asking BIG questions. Under the redefined customer service strategy, support actively seeks sales opportunities and makes a measurable contribution to the sales pipeline. Every time a support request comes in, it's a chance to learn more about the customer's needs, introduce relevant products, and generate up-sell opportunities. Walk your executive team through the customer support journey, highlighting the sales opportunities at each stage of the process. 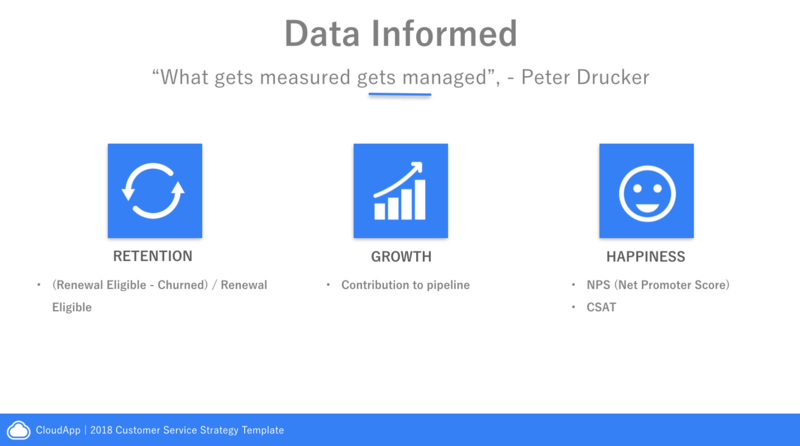 Peter Drucker said it best, “What gets measured gets managed”. And with the amount of awesome data on hand, a killer customer service strategy can deliver serious value for the business. Rather than using data on an ad hoc basis to solve problems or shore up inefficiencies, we can now mine data to test business tactics and track the impact. Here's a quick 3-part approach for effectively communicating why it pays to embrace data for support, and beyond. It allows you to test new approaches which can drive major gains in customer satisfaction and retention. It allows you to optimize your established high volume processes and analyze for incremental (but significant) gains. It allows you to track your progress against your plan to understand individual and team pace metrics, as well as identify outliers to inform future tests. Nothing grabs a CEO's attention quite like the word "ROI" — in fact, depending on the attention span of your execs, you may want to consider moving this point to the top of the list. Play with some numbers to really drive the point home. Catch their attention by starting with the ROI, then outlining how the investment will be used. Then come back to the ROI, and show exactly how these new people and tools will make it happen. For example, an increase in customer retention from 85% to 88% might yield a $600k gain by growing the pipeline to $500k and generating another $100k in new business. Numbers have a way of speaking louder than words. Do the match for your CEO and it'll be a no-brainer. For more tips for using the pitch template effectively, check out this post. And remember, we're here to help. If you have any questions, feel free to reach out!